People like to travel to Italy at any time of the year, but to some travellers the date of a certain event can be decisive in their holiday-planning. New Year is celebrated all over the world, and that includes Italy. The celebrations are usually concentrated around the main square, with spectacular fireworks at midnight. The Christmas period with its numerous markets lasts until Epiphany, when the Befana witch gives out presents. 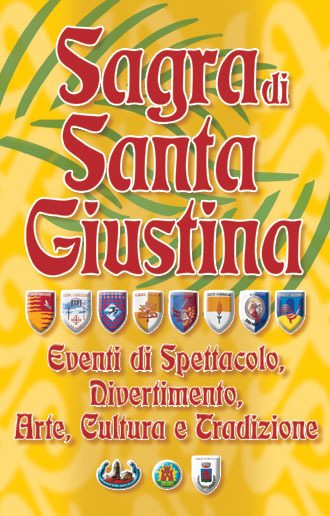 The amount of summer events is endless, as every city and village celebrates the birthday of their patron saint, by putting up stands and marquees which offer local delicacies – food and drink - , music and dancing until late. Bardolino starts with the first of its three wine festivals already in June by celebrating its rosè wine, ’Chiaretto’. The height of the holiday season, ’Ferragosto’, which is on the 15th. of August, is celebrated for example in Garda with a rowing competition ending with fireworks at midnight. Cisano has a local fair to honour birds, who once helped to save this small village on Lake Garda from starvation. 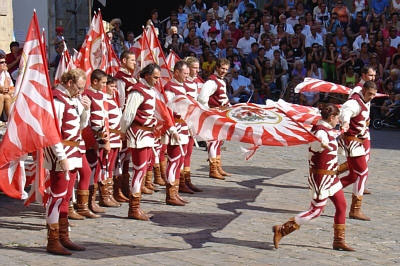 In the main square of Siena, a horse-race, ’Palio delle Contrade’, is held between the different suburbs of the city twice a year. The city of Lucca offers music lovers a Puccini Festival in the summer, and in the Roman amphitheatre of Verona an audience of over half a million people enjoy the opera each year. Many villages also have their yearly gastronomy events with typical local products - for example San Zeno with its chestnuts and Alba with its truffels. The Italians have always found excuses for celebrating, and we are only pleased to enjoy them.